Practice one and two are now complete and the race weekend is in full flow. The first race of the season is now just round the corner so let’s have a look at what’s in store. 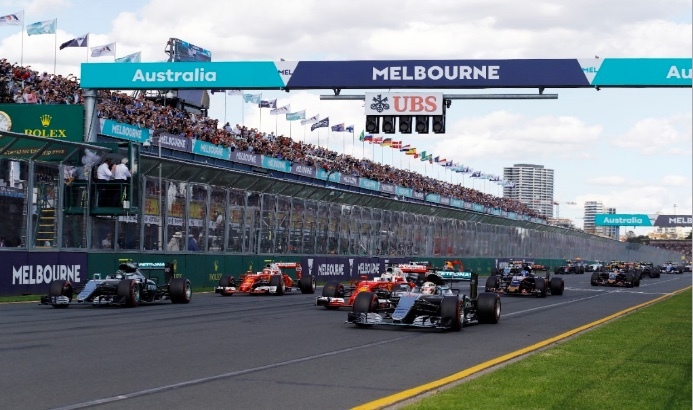 Melbourne is historically not the easiest track to overtake as officially the 2017 Australian Grand Prix saw only 5 changes of positions. All of the action occured away from the track and ultimately the result was decided in the pit lane. This year a third DRS zone has been added to try to boost the passing moves which get everyone on the edge of their seats. The FIA will be hoping the third DRS zone brings the action back to the track but the dirty air produced by these new cars is still a big issue. Reliability also usually plays a part in Australia as the teams are not quite ready for action with teething issues still to be ironed out. It shouldn’t effect the teams as much this year as no big regulation changes have been introduced. For a look at what happened in qualifying click here. The team that still has a question mark over their head at the minute is McLaren but Racing Director Eric Boullier has said all reliability issues from testing have now been solved. How accurate that information is we will wait and see. Alonso seems less optimistic about the teams chances this weekend, as he said this will be the teams worst performance of the season and I believe a battle in the bottom half of the points is what he can expect. Their is still hope though as updates are expected to come thick and fast for McLaren and Alonso feel the team can get a podium this season. Although Alonso suffered some mechanical issues in practice one the two McLaren drivers managed 8th and 10th in both sessions. A double points finish on Sunday would be a very positive start for the Woking outfit. This is the big question that everyone wants answered and all will become clear in the next couple of days. Mercedes look like they are ahead but by how much is anyone’s guess. All of them within half a second seems to be the mutterings around the paddock but it’s hard to tell as Mercedes always talk down their chances only to blow everyone away once they get going. After practice two Red Bull look very close to Mercedes with Ferrari slightly behind. Hamilton of course topped both sessions but with heavy rain forecast for qualifying there could be some surprises. A three team battle with potentially six drivers battling for the championship is what this sport desperately needs. The midfield is set to be brutal with 5 or 6 teams pretty evenly matched. Hopefully the big three can add the cherry on the top. Romain Grosjean made a surprise appearance in the top 6 in practice two as the American outfit continue their impressive form from the winter test. Ricciardo was likely to leapfrog Grosjean and join the top runners but a red flag stopped his flying lap. This doesn’t take anything away from Grosjean’s lap as it looks as though Haas might have taken Force India’s spot at the top of the midfield. However, Haas looked good in Australia last year only for the car to react differently to different track causing them to jump up and down the grid. With the midfield looking very close there could be a lot of changes throughout the season as in practice two less than a second separated Alonso in 8th to Gasly in 18th. Personally I am a big fan of Ricciardo and I believe he’s set for a very good season, if he’s given a car to challenge Mercedes I think we’re looking at a first time World Champion. But first race out of the blocks I have to go with Hamilton. On a track that’s very difficult to overtake qualifying is massive and I don’t see anyone but Mercedes on pole this weekend.